Going to London soon? 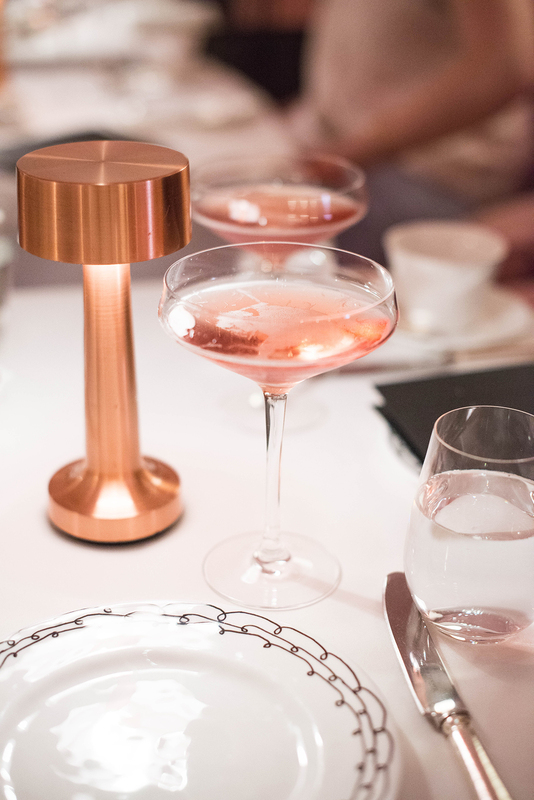 Make a reservation for afternoon tea at Sketch. This elegant, stylish spot is a must for any design-lover’s out there. There are three gorgeous dining rooms, but be sure to make your afternoon tea reservation in The Gallery. 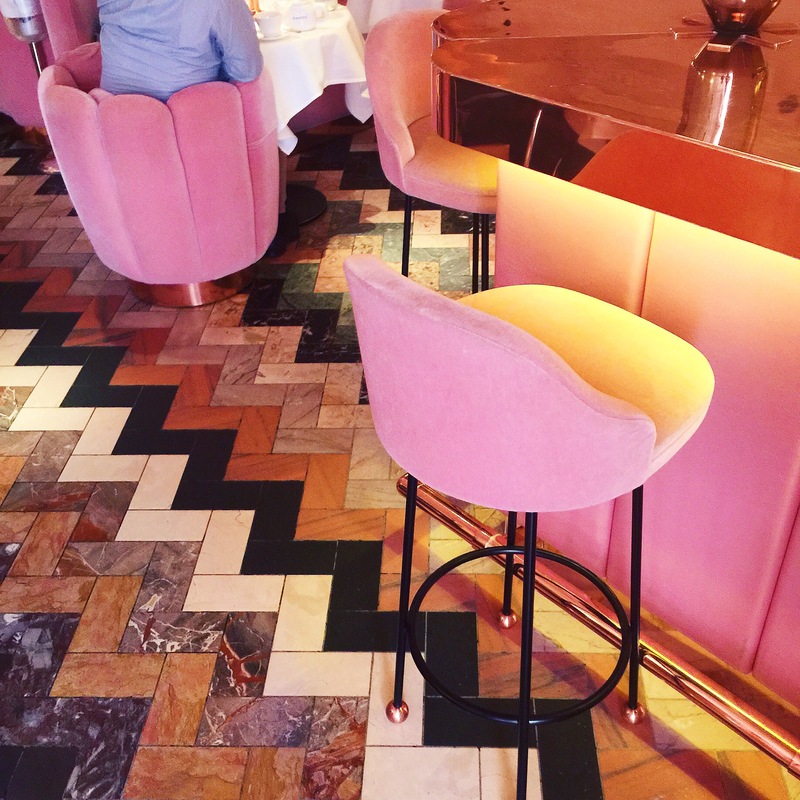 Featuring incredible chevron marble floors, plush pink furniture, and a massive brass bar, your eyes (and Instagram) will thank you. You will be completely entertained throughout your meal by the over 200 original drawings by famed British artist David Shrigley covering the walls around the room. Some are funny, some are weird and some I still don’t understand to this day. The Afternoon Tea menu features typical tea fare, but with a foodie twist. Tea sandwiches topped with quail eggs, Malabar marshmallows and other unique eats can be found on the platter. Everything was delicious! 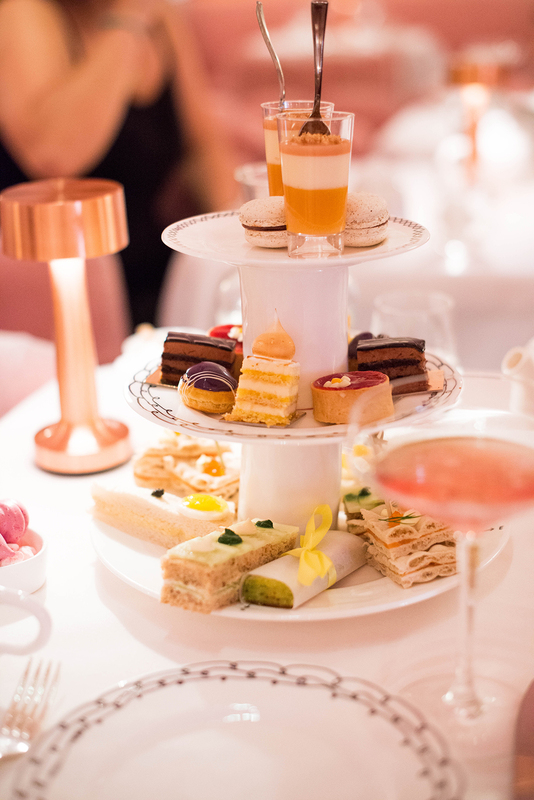 In addition to ordering tea to drink, you also have the option to upgrade to a Champagne Afternoon Tea – we chose Rose, obviously. Before you finish your tea, take a trip to the bathroom for an unforgettable (and sort of hilarious) experience. 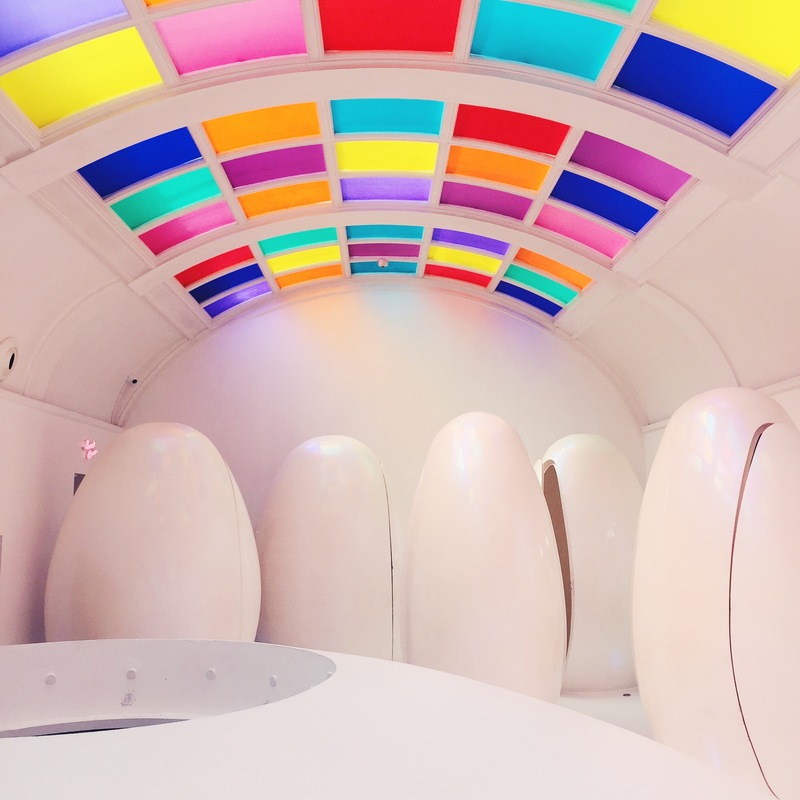 The lavatories can be found in giant pods (shaped like eggs), and when you look up you’ll find a rainbow ceiling! While you walk out of the Gallery, you’ll see you can actually purchase many of the adorable plates and tea cups you saw while you were having your tea. They all have witty sayings and cute sketches all over them. Darling! Ship them home for the ultimate souvenir. PS – I ate dinner at Sketch a couple times too, and it was fabulous! 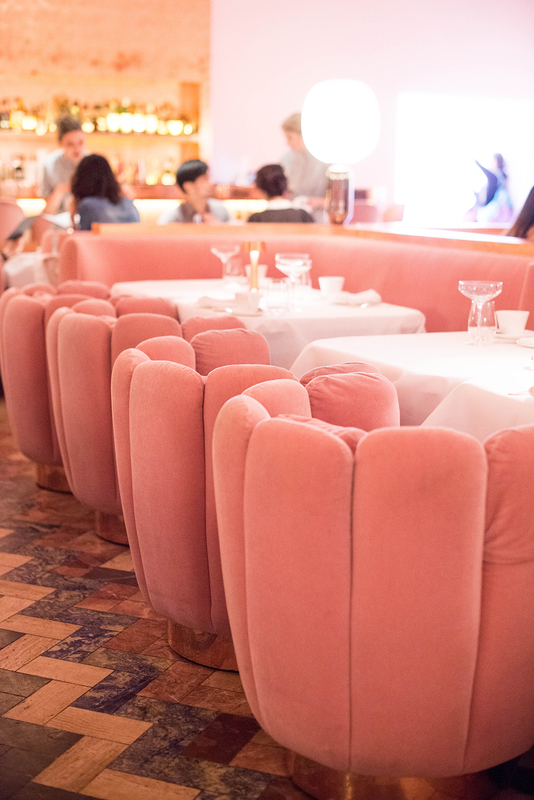 Click here to check out more photos from this dreamy spot in Mayfair and to book your reservation. Such a beautiful place!! I love it! I was in London last summer and Sketch was on my list but we never ended up making it their. I mean all that pink – what is not to love! So pretty!